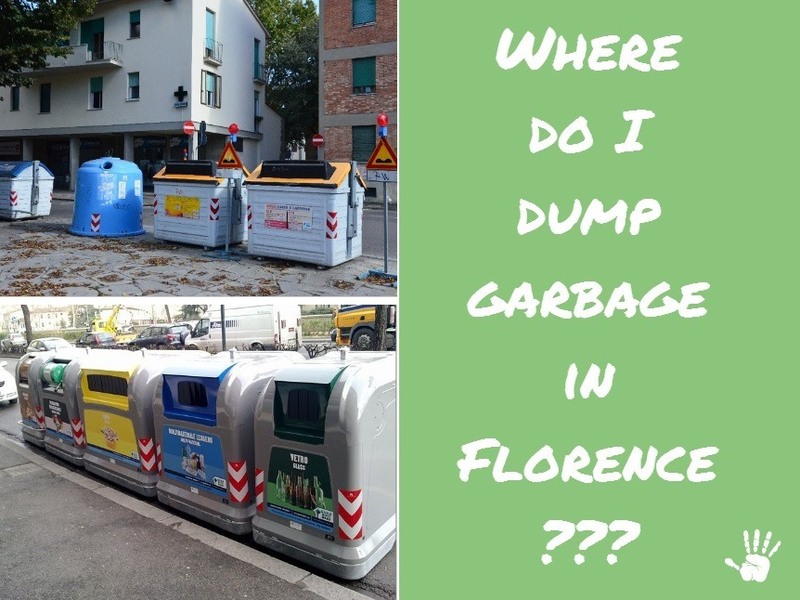 Where to Dump Your Garbage in Florence! As promised we’re back on blogging we missed it a lot and we are looking forward to keep posting interesting notes about living in Florence for tourists of both short and long term stays. Most costumers ask us how to deal with garbage in their apartments. How does it work in Florence? Do we have recycling, does the city have a garbage collector service, how many times a week is collected ? Read on and find out where to dump your garbage in Florence during your stay in holiday apartments. 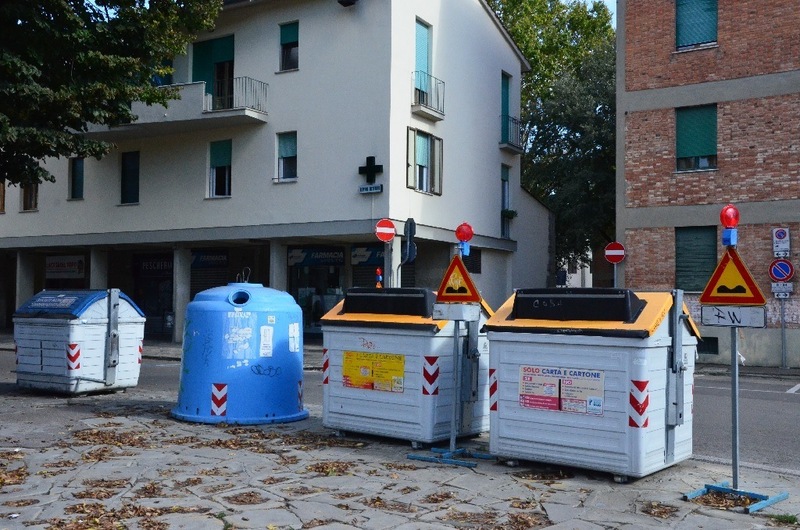 The garbage service collecting system in Florence is operated by a municipal company named quadrifoglio. The company was born in 1955 covering mainly the area of Florence city center, later on by the early 2000 the municipal areas of Firenze, Campi Bisenzio, Calenzano, Sesto Fiorentino and Signa joined forces starting the Consortium Quadrifoglio and then in 2003 the Quadrifoglio s.p.a. Servizi Ambientali Area Fiorenina Spa. 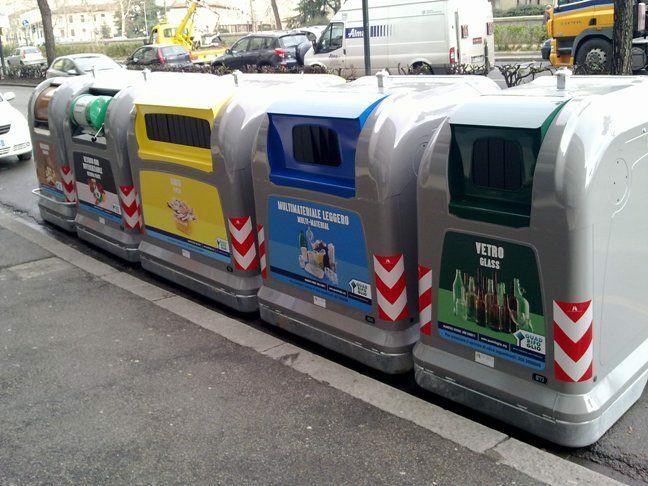 Is it possible to do recycling in Florence, How does it work? The garbage you collected during your stay in an apartment or room CAN AND HAS TO BE RECYCLED, it’s mandatory and it’s also a beautiful way to respect the city and your, our environment. Recycling in Italy is called “raccolta differenziata” You can separate garbage into three main groups: paper, plastics and organics. Organics are the everyday food leftovers, vegetables, meats, bones, fats. Paper includes cards, boards, cleaning paper, tissues, cleanex and generally yes, paper! Plastics include cans, glasses, empty cleaning products bottles, empty beer and wine bottles etc. Where do I take the trash out of my apartment? Once you’re done with your diligent work of separating the garbage is time to dump it somewhere, so where? In every main street or square there are large containers more or less of the size of a small car and came in different colors: blue, yellow and another one in blue color but with the shape of a bell! Yellow containers are for paper, blue box shaped containers are for organics and general garbage and blue bell shaped containers are for plastics and glass. What You Shouldn’t Dump in General Garbage Containers! It’s unlikely that short term tenants will have to deal with out of the ordinary trash such as batteries, motor oils, electrical equipment, expired pharmaceuticals, printing toners but sometime can be the case. The best option is to inform your landlord that will take care of the proper recycling of higher concern garbage. If you want to be extra diligent batteries can be given to phones or electronic shops offering this service. Expired pharmaceuticals can be taken to pharmacies, printing toners can be taken to printing shops, exhausted oils can be taken to special stations at Quadrifoglio or collected by a moving truck which cruise areas of the city at certain times. It’s interesting to know that cooking oil shouldn’t be dumped in the sink but collected in bottles and then taken to these special stations. This is not a common practice yet and if you are in doubt contact your landlady on this. For a full list of all types of garbage and where to dump it follow the “Rifiutario” link here. The New Ground Level Disposal Units! Let’s admit that the above solution leaves a lot to desire in terms of style and decor for a city like Florence. Some containers gets old, rusty, plus they move like ghosts from one spot to the another when moved closer by some citizens to the front of their home! The result is that sometime garbage spills out, it’s smelly and it doesn’t look good at all! The administration on the wave of the latest European trend of public sustainable decoration have worked on a new solutions to tackle the problem. There are already 42 dug in the ground stations which form a better looking island where Florence citizens and tourists can dump their garbage. As their moving cousins they also come in different colors with icons representing what you should dump in. Here is a map with a list of all the ground level disposal units opened so far! In the Era of Mobile, there is An App for Trash! 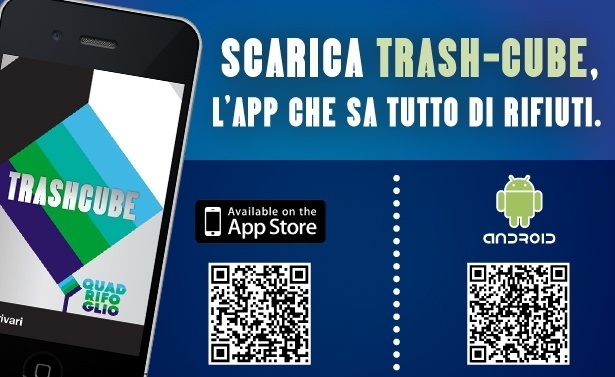 For geeks somewhat fluent with Italian there is also a convenient app called Trash Cube for both Android and Iphone that you can download and install to keep track of your garbage disposal closest areas. It also notify you when the truck comes by and other useful information on proper garbage disposal.